« Leave desktop programs behind! Great news UnitWise members! We’ve got a new promotion for you. If you refer four friends to UnitWise, you can receive a month free. 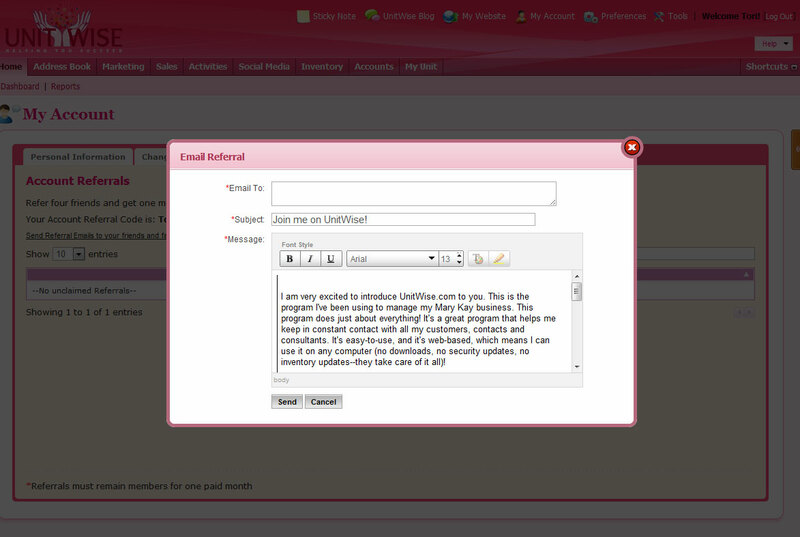 To send a referral to your friends and family, login to UnitWise then click the My Account link at the top. 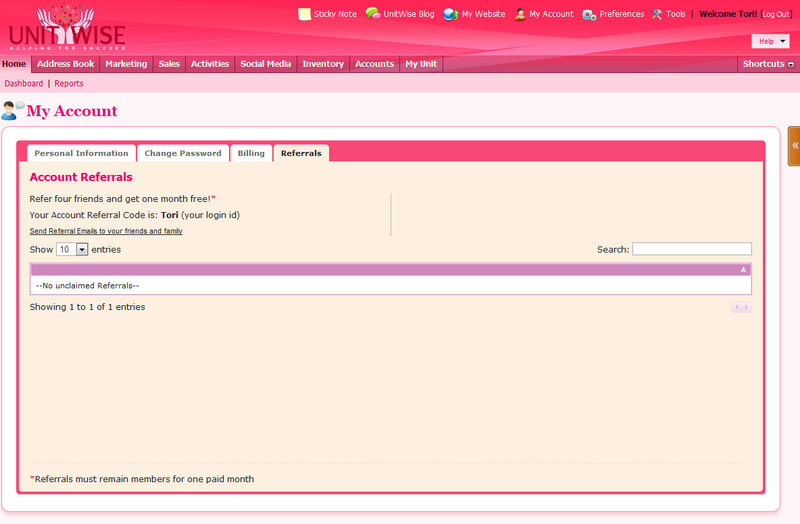 You’ll see a new tab to the right called Referral. This will bring up a window with a message in it. You can use the message here, edit it, or create your own. Input the email address of the person you to send it to, then click send. When they click the link in the email and sign up, the referral will be credited to your account. Get four people to sign up and remain members for at least one paid month, and you’ll receive a month free! You can come back to your referral tab at any time to check the status of your referrals. If you’re heading to a Career Conference in the next couple of weeks, you’ll have plenty of opportunities to refer friends to UnitWise. So get out there and spread the word! This entry was posted on March 17, 2010 at 2:02 pm and is filed under New Feature, Update. You can follow any responses to this entry through the RSS 2.0 feed. You can leave a response, or trackback from your own site.